Having got the first release of LightDM out the way we’re looking forward to what our future releases should entail. 0.1 was released purely so we could start testing and get feedback as to what features need to be added for subsequent releases. In some areas we are already ahead of KDM, and even the LightDM frontend used by Unity but in some areas 0.1 is really lagging behind and there’s a lot to be done before it’s “complete” and ready for distributions to ship. I have a branch which hopefully makes some progress on this. However with only one screen this is somewhat hard to test! Ideally I need to work with upstream to come up with a QML plugin that we can use in KSplash-QML too. 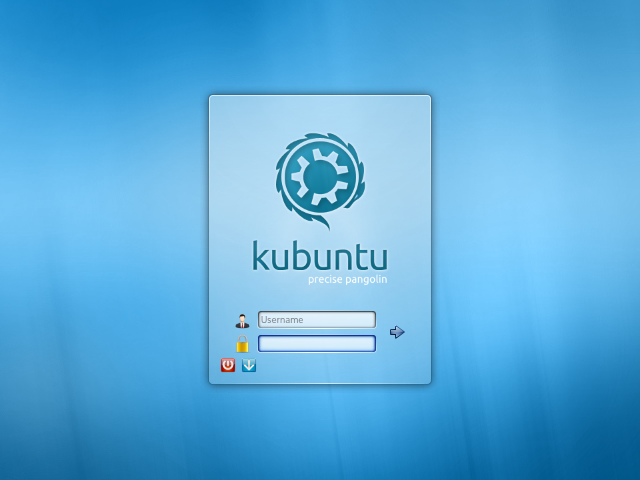 One of the special features of LightDM-KDE is that it’s really easy your settings, such as change your wallpaper or add a company logo. I’m adding a way to show a live preview of this whilst you change the settings. KSplash has a QML backend, we’re powered by QML…by copying the same code from our greeter theme to a KSplash theme it will look identical. This means we can load the same background you chose for your login screen, and we won’t have the issues with differing aspect ratios that we see in KDM. 0.1 shipped with several bugs, broken translations, poor keyboard shortcuts, and loads of UI bugs. We’re slowly fixing these, including getting a lot of these changes merged upstream back into Plasma Components. Massive thanks to Aurélien Gateau for his help on this. This has already been implemented thanks to Alex Fiestas. 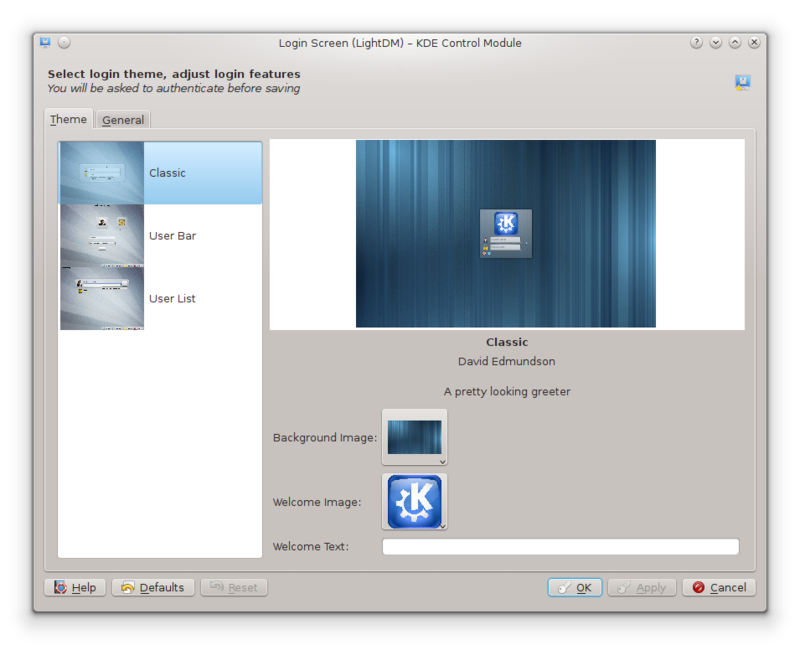 Even though LightDM isn’t the default display manager in Kubuntu it made it’s way into the repositories, installation and testing is one command away. You will then be prompted as to wether you want KDM or LightDM to be your default display manager. You don’t need to change the default just to try it. Can I see a screenshot that isn’t related to anything you just said? Sure! Blogs without screenshots are dull, and it’s hard to screenshot power management…. Report bugs to https://bugs.kde.org/ selecting the product lightdm. If you want to get involved coding or designing;,drop me an email (which can be found at the top of any header file of the source)! 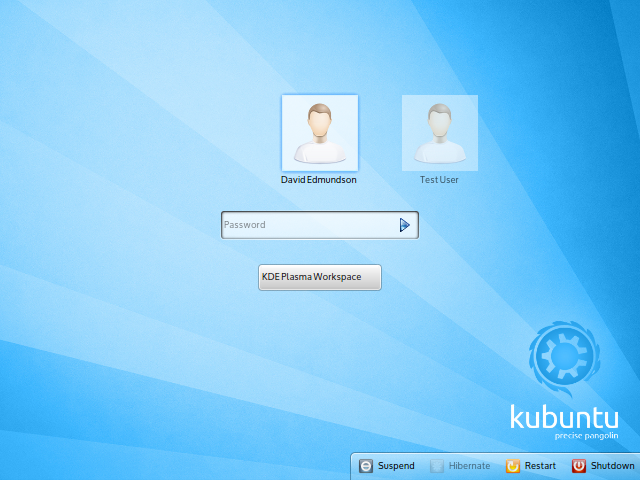 Or join #kde-lightdm on Freenode. We’re coming up to our 0.4 release of KDE Telepathy but we still have a range of little bugs that we want to get fixed in order to make 0.4 as great as possible. Come down to #kde-telepathy on Freenode on Saturday the 12th of May where we will be hacking non-stop from midday (UTC) till midday Sunday and join us in a massive bug squashing session.